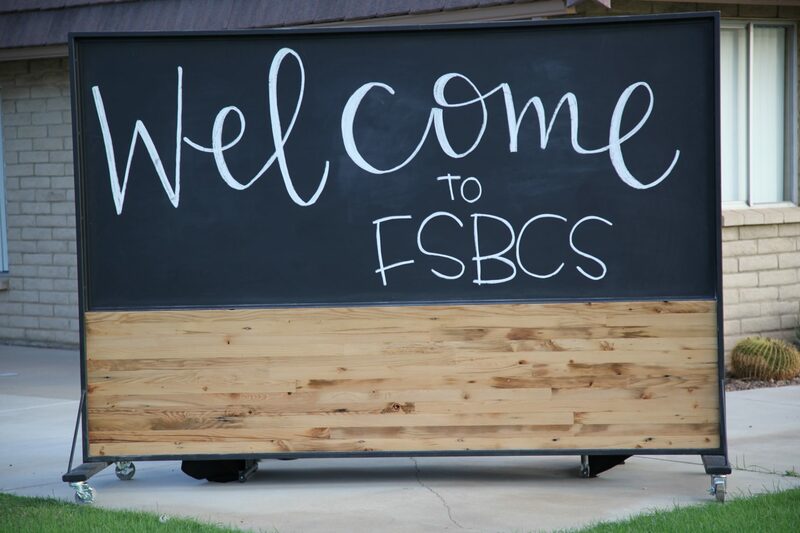 We are so glad you have come to our website to check out our church. 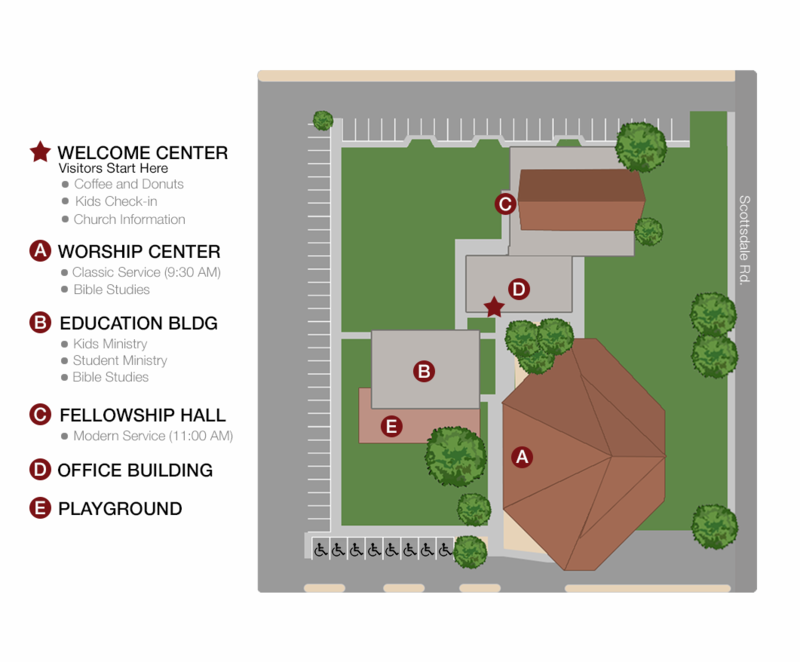 Below, you will find some basic information about our church. Feel free to reach out if you have any questions. Our two services offer a fresh blend of Classic Worship (9:30AM) and Modern Worship (11:00AM) music that is marked by reverential awe and celebration, with great biblical truths presented by practical, engaging teaching. We are located less than a mile north of Scottsdale Fashion Square Mall on the west side of Scottsdale Road, North of Chaparral Rd. at Vista Drive. For more information, call our office 480.949.0901. Worship helps prepare us to hear the truth of the word of God and is a tangible way for us to declare His worth in our lives. We have two Services available to you, and they each last one hour. They both feature the same teaching pastor and message. The Classic Service begins at 9:30am in the Worship Center that is located on the south side of the campus. The Modern Service begins at 11am in the Worship Center that is located on the north side of the campus. We have included a campus map at the bottom this page for reference. Classic Service is located in our south building, so you can park in the lots on the south or west side of the campus. Modern Service is located in the northern building, so you can park in the lots on the north or west side of our campus. Handicap parking is located in our south parking lot. We have included a campus map at the bottom this page for reference. Children programming is located in the building located on the west side of the campus, so you can park in the lot on the west side of the campus. We have included a campus map at the bottom this page for reference. Click HERE for information about our secure check-in system and how to get your child(ren) registered. We are a casual church. You will find a range of dress styles from jeans/shorts and t-shirts, to business-casual, or dresses. So come dressed however you are comfortable and you will fit right in. Can I bring food and/or drinks into worship with me? Absolutely! You are more than welcome to bring your coffee, soda, tea, or water into the worship center. Feel free to grab one on your way, or stop by our coffee and donut cart that is located in our courtyard outside of the children’s check-in station. Where do I go to get help or information? We have friendly greeters and pastors located in the foyer of both of our Worship Centers and/or outside as you come in from the parking lot. At the end of our services, members of our staff would love a chance to meet you in our lobby. You may exit the worship center through the rear doors to receive a gift and more information about our church.